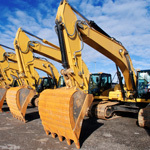 Asset Finance and Asset Refinancing enables your business to either purchase capital equipment such as computers, plant and machinery or release money by refinancing assets you already own. Your business can use the injection of cash or new machinery to trade and grow. Like most forms of Asset Based Lending funding providers tend to specialise by industry sector or size of deal. Talking with the right lenders quickly will save you time and money. Just Factoring can help you get to the right providers who understand your market, have arranged funds for businesses like yours and are likely to offer the best deals and services. There are several advantages to Asset Finance such as fixed monthly payments, tax benefits and with very little impact on your credit rating. However there are some drawbacks to Asset Finance and Asset Refinancing. Generally an agreement will be fixed, with no option to end early. Naturally you will be paying interest and these can vary, so knowing where to get the best deal is essential. Lastly you may be required to offer additional security or guarantees depending on the financial status of your business. Our advice is FREE and we will endeavor to provide MORE THAN ONE OPTION for you to choose from.